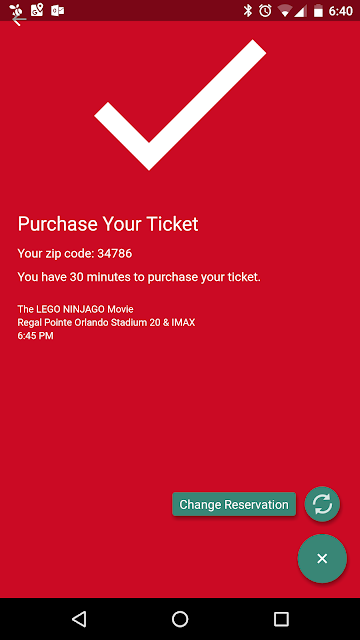 Last Friday night with my recently received MoviePass card in hand, I decided to go see Lego Ninjango with my son. 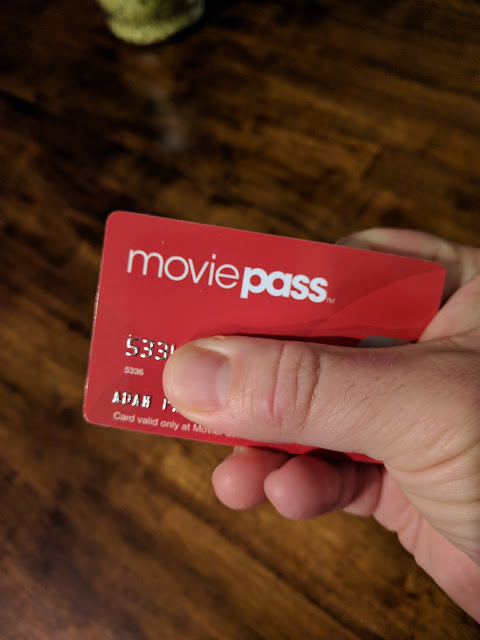 I briefly skimmed the packet that came with my card, but I didn't download the MoviePass app or take any special action. I just went to a self-service kiosk to purchase my ticket and my MoviePass card was declined. Without much additional consideration, I went to the ticket window and tried again. The transaction failed but the theatre employee asked, "did you check-in on the app?" She then added, "but if it doesn't work that's a MoviePass problem." Rightly so I thought. My actions in app unlocked the MoviePass card for 30 minutes. I then proceeded back to the self-service kiosk and was able to purchase a standard ticket to Lego Ninjango. The ticket price was around $12. As a result, I saved about $2 on my first movie. Had I paid more attention to the instructions, my experience would've have been flawless on my first attempt. MoviePass is an interesting subscription service that appears too good to be true. If you enjoy going to the movies like me or you purchased at least twelve of the estimated 1.3 billion tickets sold last year, MoviePass might be for you. Anecdotally, I suspect I might see incrementally two or three more movies per year with MoviePass, but we will see.